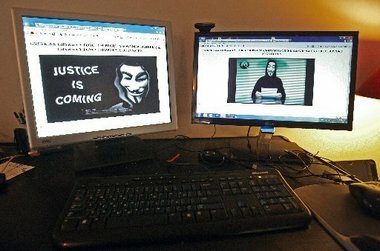 Collective hacking group Anonymous leaks username-passwords and classified documents from Greek Finance Ministry server. Just a few days before the Greek Parliament is scheduled to vote on a $17.45 billion spending cut and tax hike plan. Attack was carried out under anonymous operation named - #opGreece. The leaked documents include various classified data from e-mails that were exchanged between the Greek Ministry and envoys from international lenders negotiating more austerity measures and bailouts, to thousands of passwords of Greek individuals and evaluations of banks. "The cyber-attack was described as one of the most serious against Greek government networks" secnews.gr said in report. The attackers claim that they wanted to expose the date on the state of Greek economy so that all Greeks know the truth and thus just days before the 13.5-billion-euro austerity package goes to Parliament for voting. "Citizens of Greece you are paying Banks and international hedge funds. They own your lives. Revolt before it's too late. The austerity measures should not pass." Anonymous said in note.